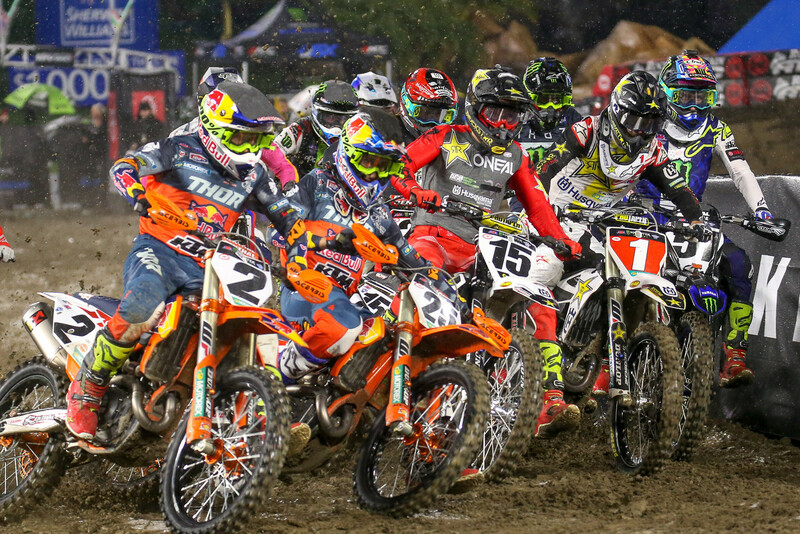 After all the offseason rumors, hype, and speculation, we finally have some facts to work with following round one of the 2019 Monster Energy Supercross season. Let’s dive into a few of the topics that stood out from A1. Dean Wilson is on the verge of shattering the prototypical image of Supercross racers. Unlike most other top 450 guys, Dean is very open about his life. During the offseason, Dean took his social media game (which was already stout) and elevated it to the next level with his Grandpa Earl video. Dean’s proving he can enjoy his time as a professional racer, even though his career path has been plagued with injuries and hardship. A person without his mental strength might have retired after the heartbreaking ups and downs he’s experienced. Maybe this is how he grabbed the attention of internet personality and professional gambler, Dan Bilzerian? Dean is now sponsored by Bilzerian and his Ignite CBD brand. For a rider of Dean’s status, it’s not easy to check his ego and line up to race without a factory ride. In today’s landscape of factory cliques, man friends and industry entourages, Dean is a refreshing personality. Can riders now capitalize on their social media fame and begin to build their own programs? If he can continue to battle the top guys he can influence the way the sport is viewed. Dean is a pioneer, and this season could have him earning more money as a social media influencer than a racer. Grandpa Earl is changing the game! 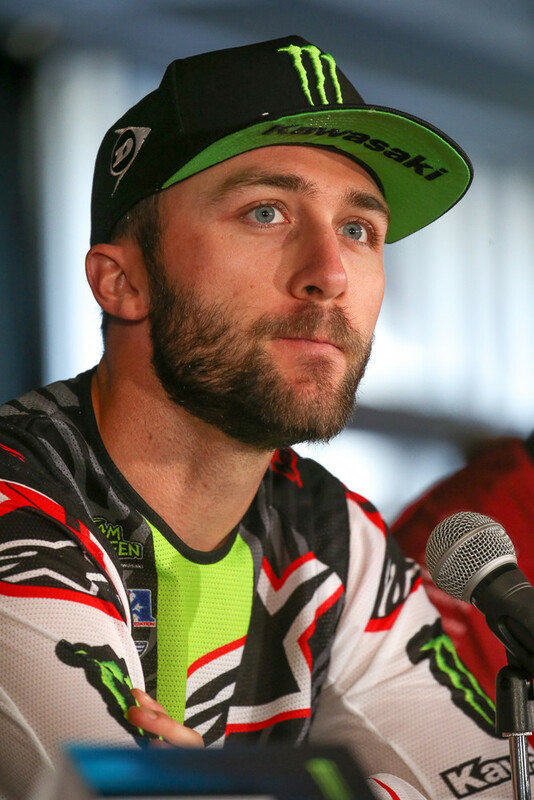 During the last month leading into A1, the forums were buzzing with rumors of Eli Tomac’s back injury. I asked him about it in the pre-race press conference, and he promptly informed me that he was good to go. After watching Eli put in a furious charge to third place, I assume that his back is feeling fine. Seeing Eli catch and pass Dean Wilson on the last lap was like watching someone punch Santa Claus, Eli is a cold-blooded assassin on the track. There is not another rider on the field feared more than Eli with a couple laps to go. While I am sure he would rather have won, Eli understands the first round is about scoring a healthy amount of points and moving on to next week. 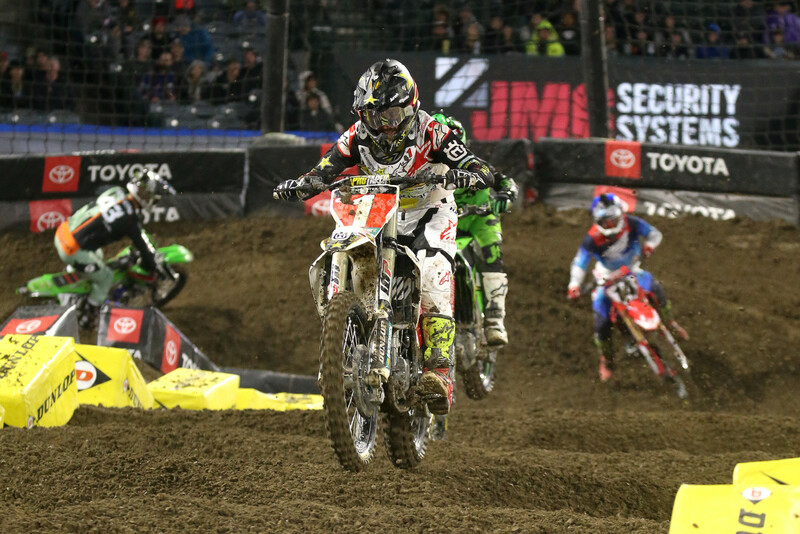 Defending 2018 Monster Energy Supercross Champion Jason Anderson had a night reminiscent of Jeff Emig in 1998. It’s not fair to judge him off of one race, but that’s all we have right now. I don’t expect his season to go like Emig’s, but Anderson might want to take a look at the 1998 Bar to Bar videos and take notes on what not to do when defending the crown. The 2019 lineup is proving to be the deepest field I’ve ever seen, and Anderson needs to find his flow soon or it is going to be a long year of catch-up. Yamaha had a night for the ages as Justin Barcia and Colt Nichols earned wins in both classes. It never fails to amaze me how public opinion of a brand can change. Heading into last year’s 2018 Monster Energy Supercross series Yamaha was one of the most highly-criticized manufacturers. After Nichols and Barcia’s wins, last year’s criticism seems like an eternity ago. Either way, both riders put in career-defining rides. For Barcia, the storybook start of 2018 has continued into 2019. It’s only one race but combined with what he accomplished last year he should be considered one of the elite 450 riders alongside Tomac, Musquin, Roczen, and Anderson. In the 250 class, everyone was picking Adam Cianciarulo, Shane McElrath or Dylan Ferrandis to win, but Colt Nichols stole their thunder and dominated the main event. Nichols went on to take his first win with 16 seconds to spare. This is the third year Nichols has been on the Monster Yamaha team, and the first season he’s entered with a clean bill of health. I caught up with him after the race and asked him some hard-hitting questions, and Colt let his personality shine through. Look for more interviews where I shed light on riders’ personalities. Be ready for a week of overreactions (including from myself). We have 16 more races and rarely does a muddy race track give an accurate barometer of what to expect from a season, but for now, it’s the only information available until they line up again; this time in Glendale, AZ. Thanks, good seeing you bro!